Deck construction is not a job for an amateur. An improperly built deck will cause many serious problems, including your safety. You will see your money go wasted or might deal with problems never expected to deal with later on. Don’t forget that the deck building industry has changed dramatically over the last decade. The standards have changed, the technology has changed, the resources, possibilities, and materials have changed. If you hire a handyman with limited outdoor decking construction experience, you might pay less but it will cost you more in the long run. Which is your first priority? To find deck builders with great expertise and updated with the current standards. In order to be sure you have found the right contractor, you need to ask several questions to verify their qualifications. Does the deck contractor meet the local standards? The legal requirements often vary from region to region. You need to ask at your local office first whether a deck builder must be licensed and bonded. 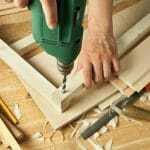 If a company uses subcontractors, do they need to be licensed? Learn everything there is need to know about the standards in your location and then see if the contractors you interview meet them. You also need to make sure they have liability insurance in the event of damage or accident. While you are on the phone with the local office, ask what permits are required for a standard or floating deck building and then crosscheck with the contractor to see if he is honest. 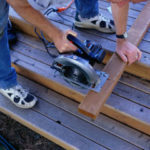 What warranty the contractor provides for the deck building? Which deck materials do they offer? 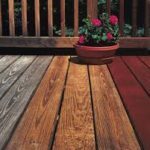 Today, there are tons of choices among ipe, cedar, composite and pressure-treated decking – just to name a few. And then, there are qualities and there are qualities. For example, a high-quality composite decking will be stain, moisture, rotting, and mold resistant while poorer qualities won’t hold equally well to the elements. You need to find a company that will provide you with a great variety of options and be specific about the quality of the wood species. How long will the deck building last and when it will start? It’s often hard to book a deck builder in high-seasons (like in the spring). All the same, you need to get specific answers to when the project will start and finish, especially if you plan an event. A professional contractor will be able to tell you exact dates and stick to them. How much will the deck construction cost? Let us point out here that the deck cost depends on many factors. If you want ipe deck building, it will most likely be more expensive than if you would choose cedar or pressure-treated wood. The price won’t be the same if you want a large wraparound deck with a small attached deck. Keeping the variables that determine the final cost in mind, ask about prices and compare the cost of the exact same custom deck among contractors. This will help you understand which contractor is more expensive than others. Once this is out of the way, ask about the installments. How much do they need upfront? Most deck companies require only a small deposit when you first sign the contract and then split the rest of the amount in 2-3 timeframes throughout the project. These are the main points you should focus on when in search of a local deck contractor to avoid problems tomorrow or overcharges today.